I laughed it off claiming that, as with most of my cooking, there wasn’t exactly a recipe. In fact, there was no recipe at all. For Christmas I always like to give something I’ve made myself. I’ve presented my friends and family – even my co-workers – with little bottles of olive oil with Italian spices, ginger body scrub and the delicious Christmas liqueur Bianca from Elephantasticvegan inspired me to. Guess what everyone received in 2016. Apparently it was well liked as soon people started to ask me for the recipe and my excuse that a recipe didn’t exist wasn’t taken for an answer. So I had to make something up. I’ve since made a few batches and they’ve never lasted long. 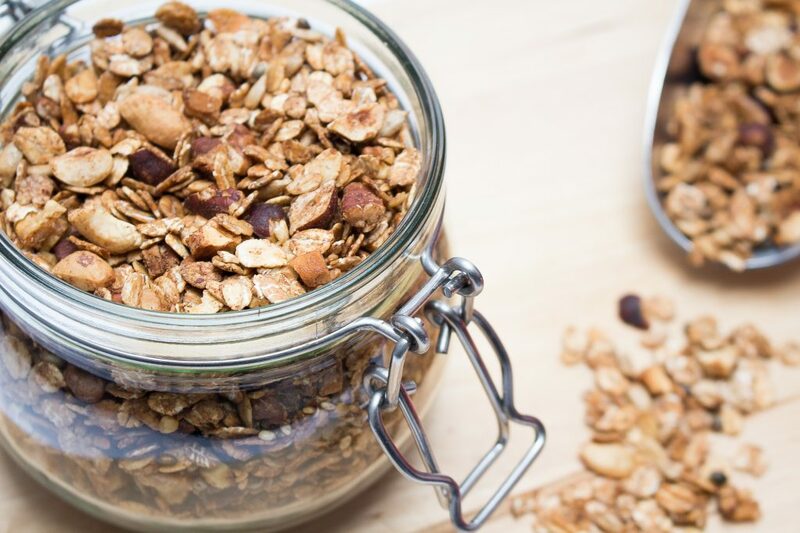 It is quite delicious – not too sweet, incredibly crunchy and with a mouth-watering smell – and I always have a little jar at the office to top off my morning oatmeal. 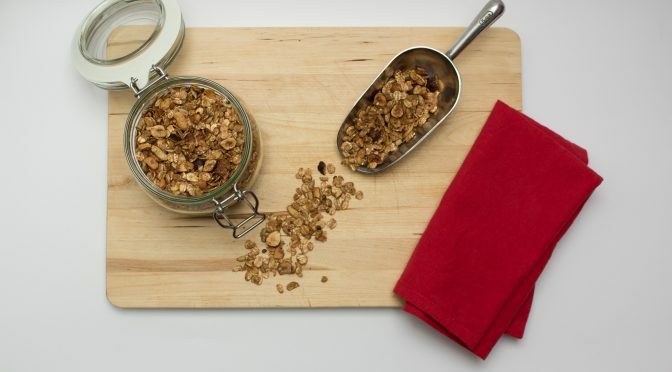 A crunchy topping for your morning oatmeal this also makes for a great last-minute gift for that housewarming/ birthday party or brunch you've been invited to. 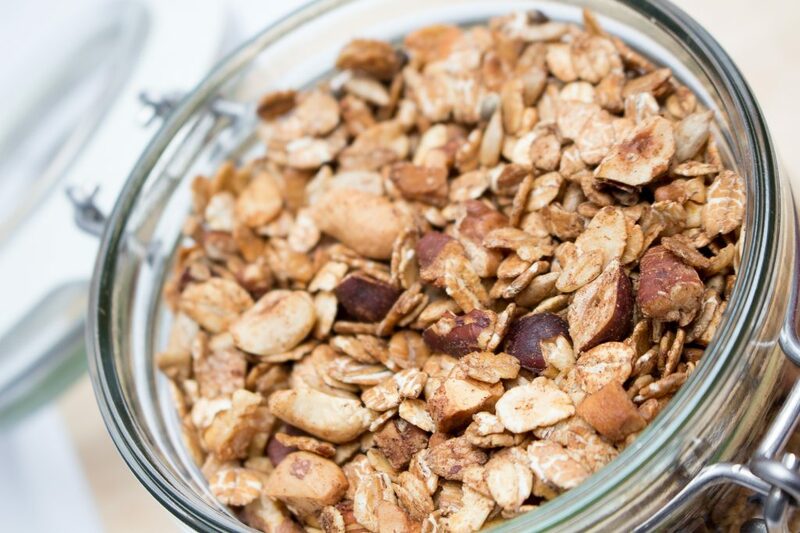 Hack nuts and mix with oats. Thoroughly stir in coconut oil and maple syrup. Put on or two baking trays and bake for approximately 20 minutes, stirring occasionally. 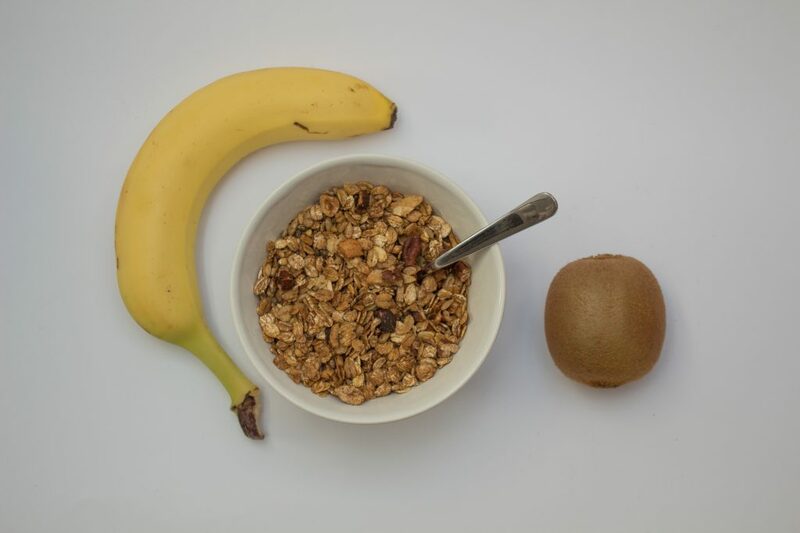 This will make a fair amount of granola. If you keep it all, simply store it in airtight containers in a dark place and it will stay crunchy for at least a couple of weeks (but it won't last that long, believe me). 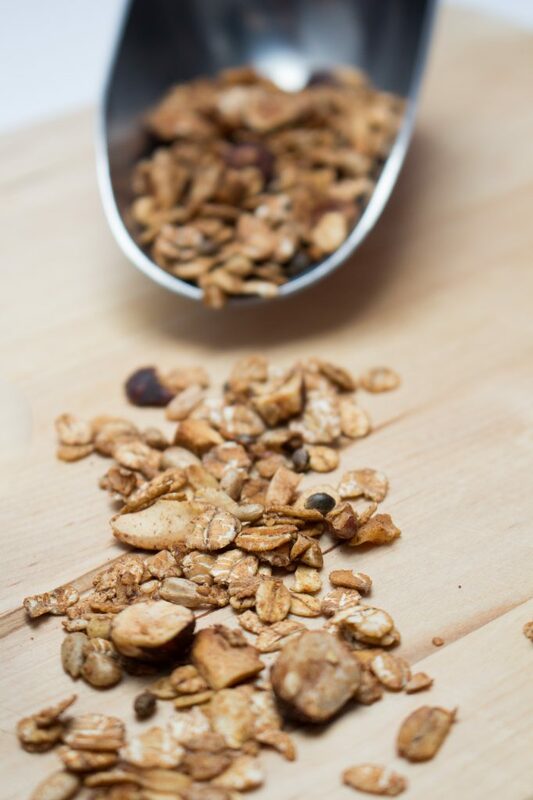 Have you ever made granola yourself? Do you have a secret ingredient that makes it extra special (which you’re willing to share)? Don’t forget to tag #aliciouslog on Facebook, Instagram or Snapchat if you recreate this recipe so I can give you a like!